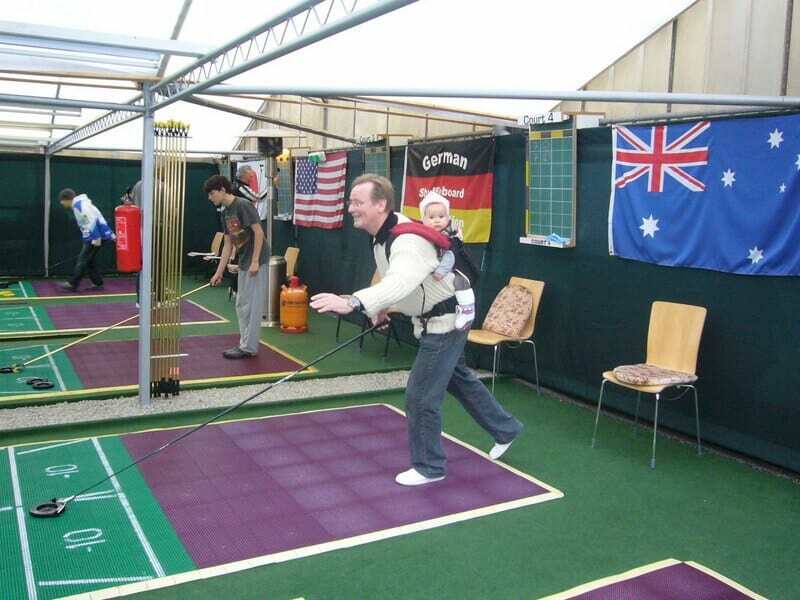 After an involuntary one-month-break due to the cold weather and snow, the German shuffleboarders have entered the new year with anticipation. 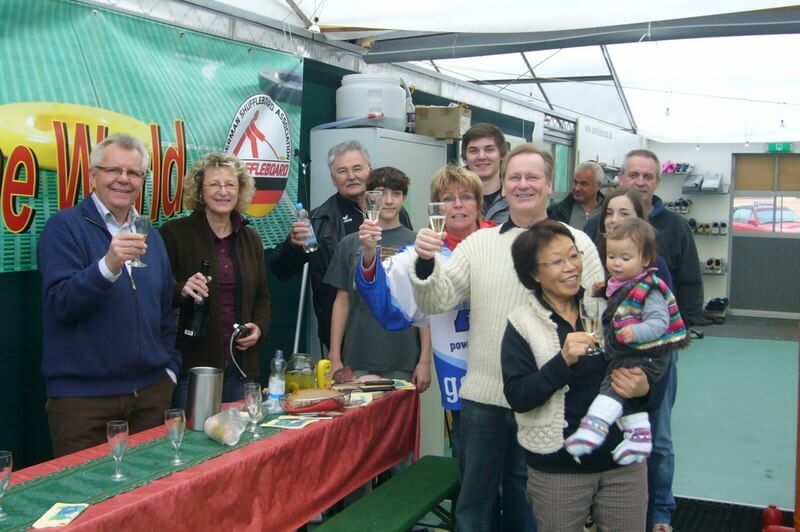 Hartmut Engler celebrated his birthday with champagne and a tasty snack. 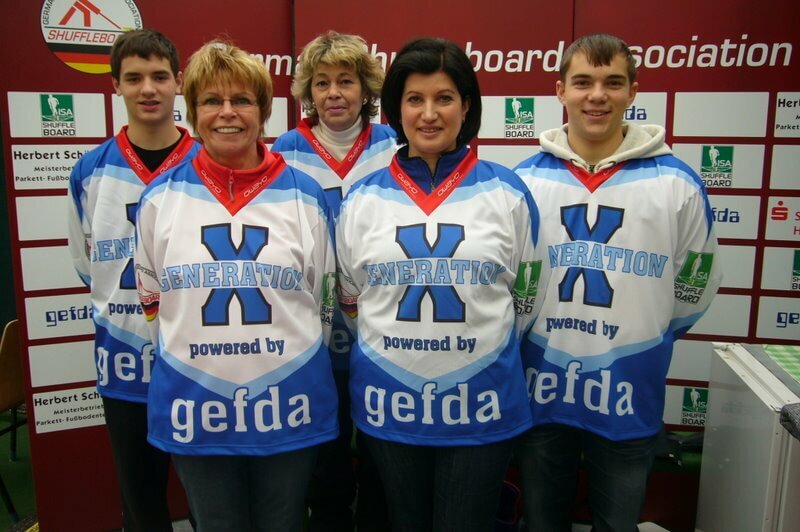 The WSL team “Generation-X” presented themselves with a new team outfit sponsored by the “Gefda” company and together with the “Flying Discs” both teams completed the first round for the WSL-league in 2011. 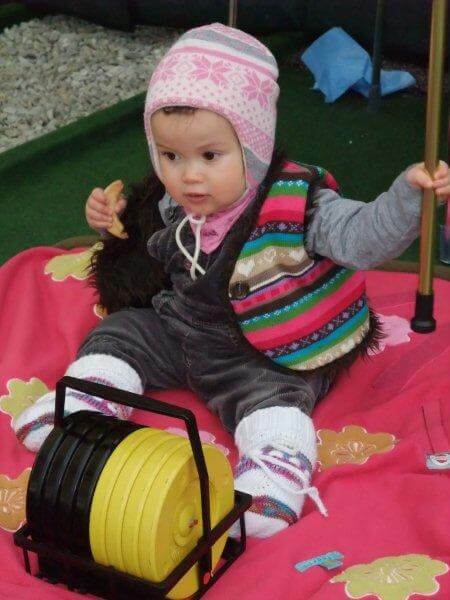 Also the GSA welcomed two new members. 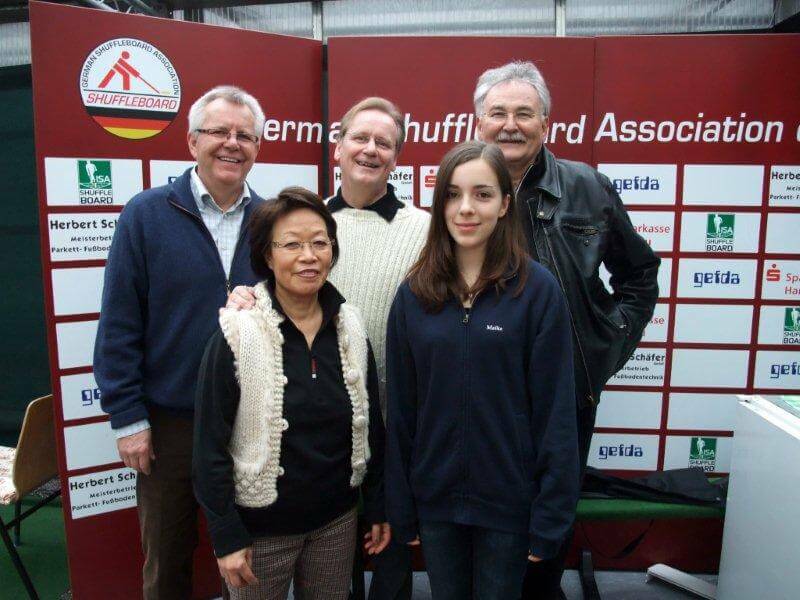 Christel Engler, who was the photographer during the world championship, has now joined the shuffleboarders, and the youngest member in history, one-year-old Ann Soo, granddaughter of Nobi and Thomas Mueller, who immediately was drawn to the shuffleboard equipment.